This leak suggests the preview offer will last 3 months provide users 100GB data at 100Mbps, with users getting ‘Data Top-Ups’ that take their monthly data to limit up to 1.1TB. Users will have to pay a sum of Rs. 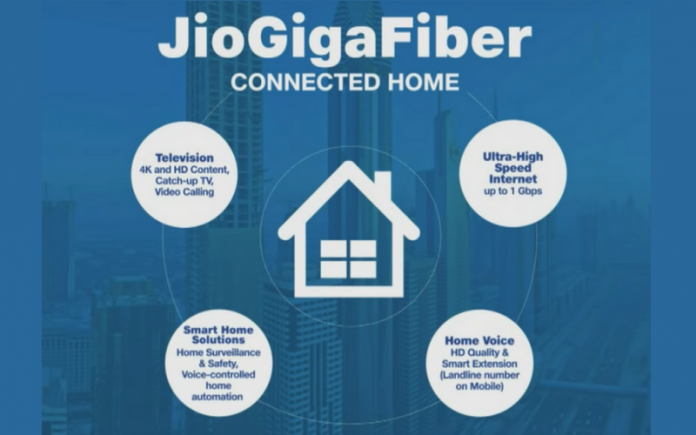 4,500 to avail the Optical Network Terminal, Jio GigaTV and smart home solutions, which will be refunded if the user decides to terminate the connection. Lastly on the Jio front, those waiting for WhatsApp and YouTube apps on the Jio Phone platform will have to wait a little longer as the two apps’ rollout will happen in batches. While the company had announced that WhatsApp will not be coming to the platform on August 15 to most users, it was a surprise that even YouTube was delayed for a majority. The operator is now providing users home broadband plans with no FUP limit across several cities, such as Delhi-NCR, Mumbai, Kolkata, Ahmedabad, Jamnagar, Chandigarh etc — before this, the truly unlimited broadband was only available in Hyderabad. However, while the old FUP limits are not in place anymore, the company still has a limit on how much data consumers can use in a month — 3.3TB. Separately, Airtel is giving its prepaid users Amazon Pay balance worth Rs. 51 on recharges of Rs. 100 and above; similarly, postpaid subscribers get the same balance for using any myInfinity plan. Buyers had to pay the full Jio Phone 2 price in India of Rs. 2,999 to purchase the device. The next flash sale for the model will be held on August 30, again only on Jio.com.